‘Aquaman’ Star Jason Momoa Added To Wizard World Cleveland ‘Justice League,’ ‘Game of Thrones’ Standout To Appear Saturday, March 9, at Huntington Convention Center of Cleveland. 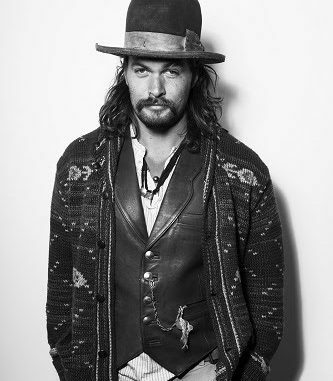 Momoa joins Tom Welling and Michael Rosenbaum, who starred as the Man of Steel and his criminal nemesis alongside John Glover (“Lionel Luthor”) in the long-running series “Smallville,” Sean Astin (The Lord of the Rings, “Stranger Things 2”), Chad Michael Murray (“One Tree Hill,” “Agent Carter”), Matt Ryan (“Constantine,” “Legends of Tomorrow”), the “Charmed” trio of Holly Marie Combs, Brian Krause and Drew Fuller, Butch Patrick (“The Munsters”) and Thomas Ian Nicholas (Rookie of the Year, American Pie) and more, as well as an outstanding array of programming, live entertainment, cosplay contests, gaming and more at the fifth annual Wizard World Cleveland, March 8-10. For more on the 2019 Wizard World Cleveland, visit http://wizd.me/ClevelandPR .